Ford announced today a feature called “evasive steering assist.” This new technology can help drivers steer around stopped or slower vehicles to help avoid collisions. 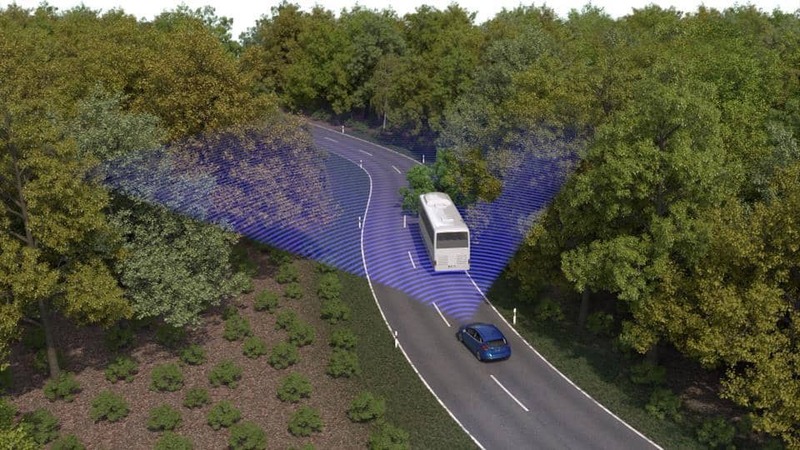 Designed to operate at city and highway speeds, it uses radar and a camera to detect slower-moving and stationary vehicles ahead, and provides steering support to enable drivers to avoid a vehicle if a collision is imminent. The system is activated if there is insufficient space to avoid a collision by braking and the driver decides to take evasive action. Ford envisions the technology with audio signal and dash signal. This kind of technology would work beautifully with the SteerClear Wheel because the driver would receive vibrations in his/her hands to suggest what direction to avoid the collison with the car in front. The SteerClear Wheel is especially helpful in the case of distracted drivers who are not looking at the dash and those drivers who are hard of hearing. The vibrations in the SteerClear Wheel are processed in the driver’s hands faster than visual or audio alerts. The SteerClear Wheel will also flash and turn color. In the video, Ford suggests that evasive steering assist will be used when braking alone is not enough. The process is tiggered by the driver to make the moves around the object The driver is warn visually and with audio. The driver triggers the system by moving the steering wheel. The driver remains and in control at all times. We can also see that the SteerClear Wheel can be used in the case where the driver doesn’t realize there is sharp curve ahead.